It’s no secret that I’m an Aston Martin fan – I’m lucky enough to own one (read: ‘lucky enough’ to own the repair bills too!) and any of our regular readers will know when I’m driving the Twitter feed during a WEC or ELMS race; as racing fans we all have our own allegiances and I make no bones to being somewhat biassed towards those famous wings. 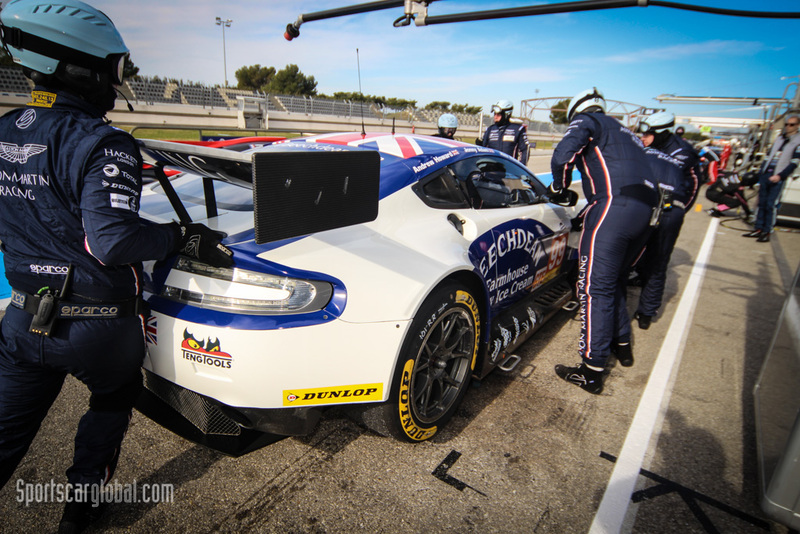 So when Andrew Howard and his Beechdean-backed team stepped up from British GT to a full-season European Le Mans Series assault this year I was quietly hoping for great things. With Aston reducing its factory World Endurance Championship (WEC) team from five to three cars and the change of the Danish-backed car from the AM to Pro category leaving Paul Dalla Lana’s #98 Vantage as the only AM entry, Howard’s ELMS entry provided a welcome addition to the ‘fleet’ and had the advantage of ‘Manufacturer’ support with Prodrive managing all of the oily bits. 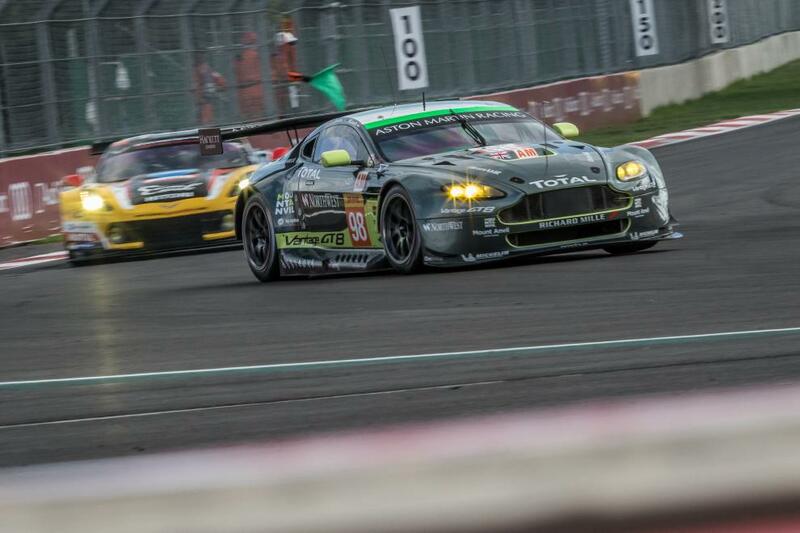 As I write, Aston Martin Racing is the only team that can take the ELMS GTE crown out of the waiting arms of JMW Motorsport (all be it a long shot) and the WEC team are looking on target for overall class honours in 2016 so we thought we’d take a look at the two ‘identical’ cars racing in two series, sometime on the same tracks, and see what, if any, conclusions we can draw. As an added bonus along the way, take a look at how the livery on the #99 car has subtly changed throughout the season. 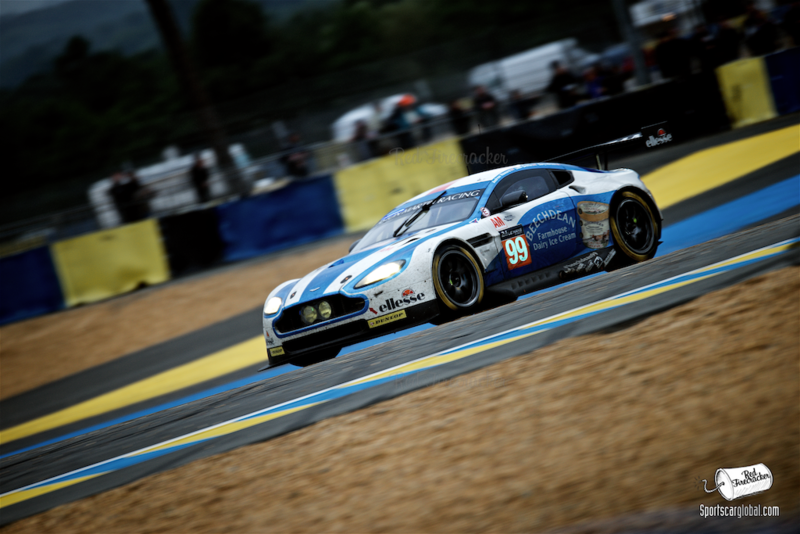 When the #99 car debuted at the official ELMS test in France’s Circuit Paul Ricard it looked fantastic; with ‘factory’ engineers, the addition of dedicated technicians from Dunlop and Total and drivers such as Alex MacDowall and Johny Adam drafted in from Aston Martin Racing to partner Howard things looked set for an explosive debut. What we got at Ricard however was somewhat less – at the end of the first Morning’s running the #99 V8 Vantage finished at the bottom of the classification table setting a lap time of 2:01.782, a massive 4.5 seconds off the fastest GTE time of 1:57.304 set by one of the AF Corse Ferraris. By the end of the afternoon session the team had knocked off a second but were still trailing the timing sheets by some considerable distance. The team chose not to run in the night session. Day two dawned with much of the same – the #99 car finishing up the slowest overall of the classified cars; now, we should not read too much into this but as the official tests wrapped up we were not the only people left questioning what what ‘wrong’ with the Beechdean car – were the team running through their own test scenarios regardless of anything else or was it really this slow? 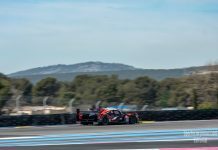 In an attempt to answer that question we initially looked at the data that we could compare between the #99 car and the #98, which took to the track two days later; the WEC AM car being essentially the same specification as the ELMS car. Interesting, the day one times were only 0.5s apart with the #98 car’s ‘owner’ Paul Dalla Lana setting a fastest lap time of 2:01.222. The WEC AM car finished the two-days Prologue with an overall time of 2:01.508, one point four seconds slower than the ELMS car’s 2:00.124 – so clearly the cars were fairly equally matched performance-wise and only the first race at Silverstone would tell us more …. Fast forwards to a snowy Saturday in April and we find ourselves at Silverstone, the first race of the season for the ELMS with the WEC scheduled for the next day. Aston Martin stalwart Darren Turner is ‘double hatting’ having stepped into the ELMS car to replace Jonny Adam while still driving the #95 GTE PRO car in the WEC race. 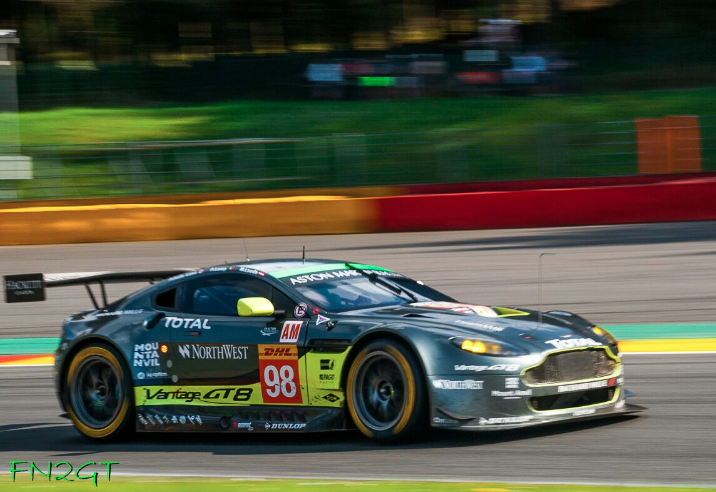 Initially, some may say that comparing the lap times of the two GTE Vantages here would be unfair as the ELMS race took part in poorer weather (with the WEC’s Sunday schedule giving much better track conditions), but the figures dispel that immediately – Alex MacDowall setting eight of the ten fastest laps for the #98 and #99 cars combined – clearly neither MacDowall or the #99 car are slow! At the end of the ELMS race, the #99 car took overall GTE honours (following the disqualification of the JMW Ferrari for a technical infringement) in a time of 4:02:48.224 setting a fastest lap of 2:01.879. In the WEC the #98 car came in a respectable second place and clocked in a fastest lap of 2:02.501, slightly slower than the ELMS car. 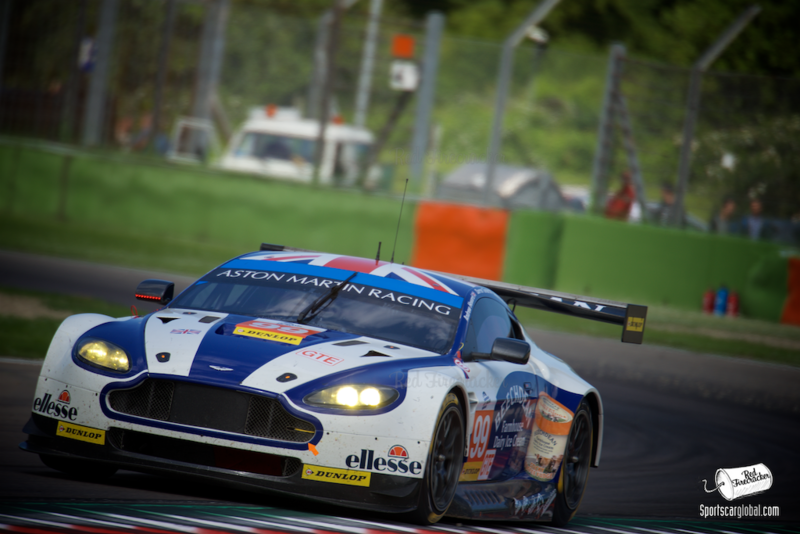 Imola was a bad race for the Beechdean AMR Team and nothing appeared to go well. The car qualified last on the grid and despite some heroic driving, the rain, FCYs and Safety Car periods, along with a car that was perhaps not at the top of its curve, all conspired to bring the team in fifth in class and second from the bottom of the overall times, 2 Laps and 10.5s behind the class winner. Again, mutterings of ‘how can the Aston be so slow?’ began to surface across the media centre. 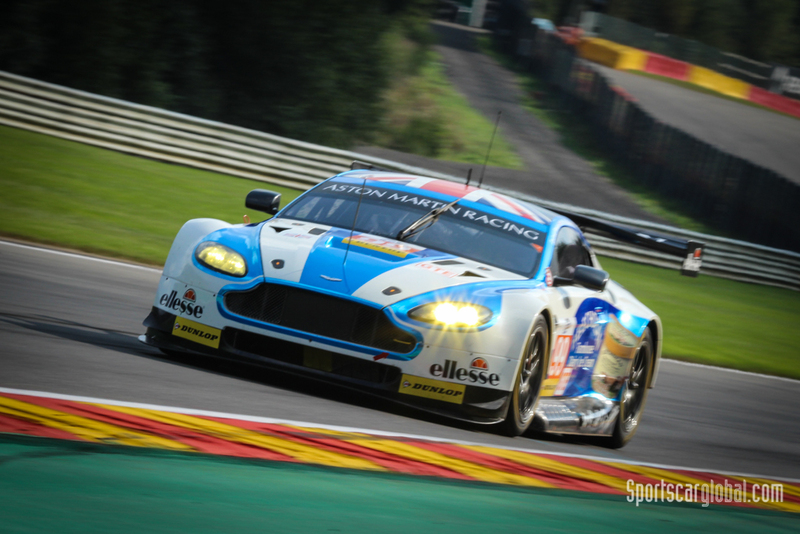 The WEC moved on to the historic Spa-Francorchamps circuit for its second round and this gives us our second opportunity to run some like-for-like comparisons between the cars as the ELMS will make a stop at Spa later in the year for the penultimate round. 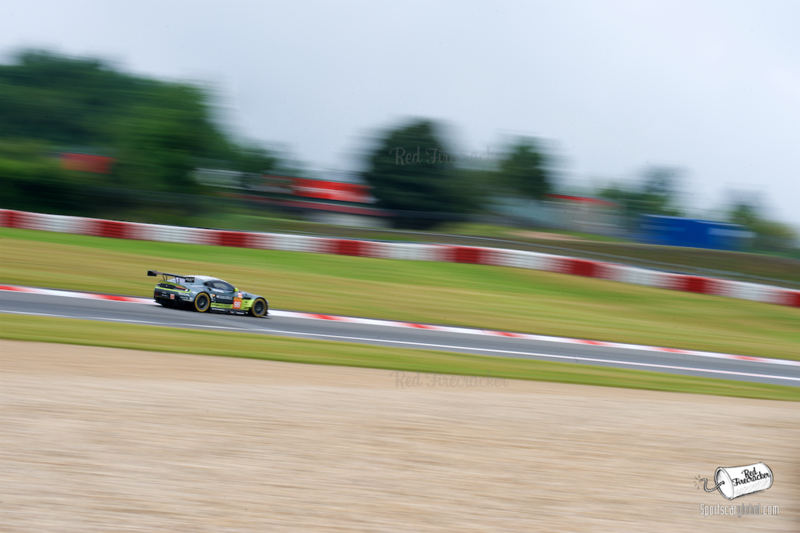 However, let’s focus on the WEC Am car for the moment here; Paul Dalla Lana, Pedro Lamy and Mathius Lauda put in a stunning performance, took pole position with an average lap time of 2:20.351 and went on to convert that pole position to a class win with a best lap time of 2:20.763 set by Pedro Lamy. 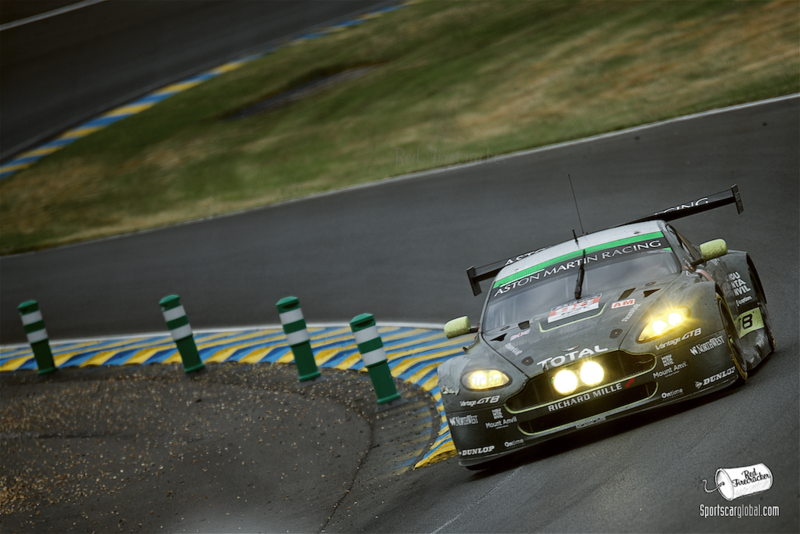 In June, both cars headed to Le Mans for the third round of the WEC. Both cars had a fairly miserable qualifying with the only moment of note being the first session’s second place for the #98 car setting a 3:57.198 lap time earning the car a spot on the 21st row (42nd overall). The #99 car was a further six rows back with Gary Hirsch (subbing for Darren Turner who was piloting the #95 GTE PRO car) starting in 51st place. When we compare the lap times of the two cars during the race we can see that Pedro Lamy is consistently the fastest driver of the six with a fastest race lap of 3:57.7 with Gary Hirsch 0.8s slower in the #99 car. After Le Mans the ELMS moved to the Red Bull Ring in Austria for the third round and while performance was better than Imola, the #99 car finished a mid-table fourth a lap down on the winner, the JMW Ferrari 458 Italia. While writing it like this perhaps sounds somewhat gloomy, when we look at the lap times it’s clear that the Aston is far from slow – the winning Ferrari’s fastest lap was a 1:29.418 whereas the Darren Turner took the Vantage to a 1:29.392 – a 10th faster! 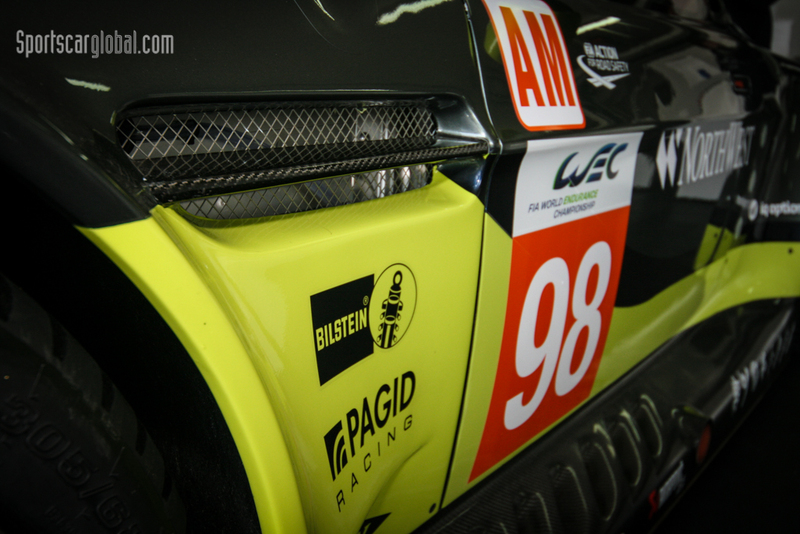 The WEC’s next stop was Germany’s Nürburgring in July where the #98 AM car qualified third on the grid. Race day dawned and threw a mixed bag of weather, from a fog in the morning to blazing sunshine in the afternoon, conditions that clearly suited the AM Vantage and the team turned their their ninth place on the grid into a class victory setting a fastest lap of 1:59.894 on the way. August saw the ELMS back at Paul Ricard. 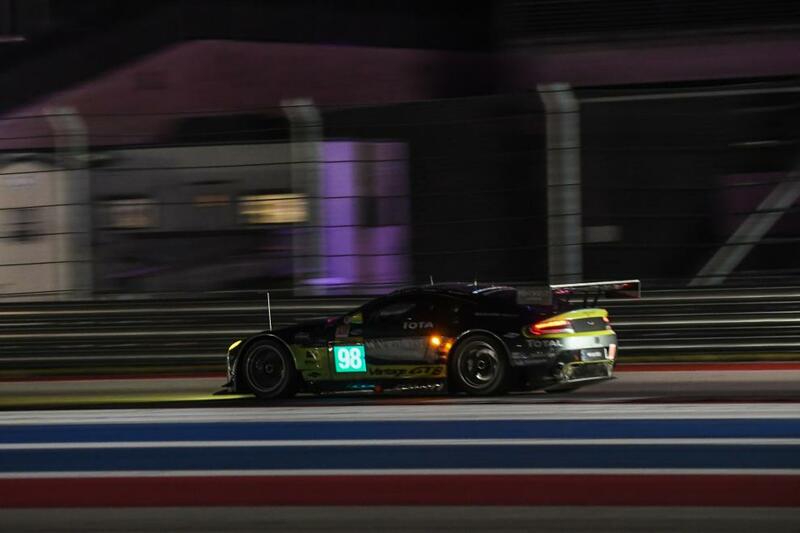 The #99 Vantage qualified on Pole Position and continued its race result improvement finishing on the final step of the podium. The JMW Ferrari again took the class win but the Aston’s 1:58.781 fastest lap was a considerable improvement on the 2:00.124 clocked up at their earlier visit to the French circuit during the official tests (and a considerable improvement on the only time we have for the #98 WEC car for that circuit of 2:01.222 set during the Prologue in March). September took the WEC to Mexico for the first time and then back to Austin Texas to the Circuit of the Americas. In Mexico the #98 car stormed into pole position with a 1:42.009 only to later be excluded due to a 1mm ride-height infringement and demoted to start at the back of the grid. Despite some spirited driving and a fastest lap of 1:42.301 (two thousandths of a second faster than the 1:42.328 of the eventual winner, the #88 Abu Dhabi-Proton Racing) the car retired due to damage some five laps from the end. Things improved for the #98 car in Austin with a class pole some 0.6s faster than their nearest rival and a storming win to finish the race 1:02.838 ahead of the second place car, KCMG’s Porsche 911 RSR. And now we find ourselves in October – the fifth round of the ELMS has just wrapped up at Spa-Francorchamps and what, when watched from the stands, appeared to be a somewhat lack-lustre race for the #99 car finds them just 20 points behind series leader’s JMW with a race to go and all to play for. The JMW Ferrari drove an exemplary race, rocketing from third in class to first by the end of the first lap – a master class in race craft and while the Vantage had some early issues with a 3+ minute pit-stop at the end of the formation lap, it’s race-pace was comparable to the Ferrari with Rory Butcher setting a 2:20.3 in the JMW car and Alex MacDowall clocking in a fastest lap of 2:21.0 for the Aston Martin (these times equating to average lap speeds of 179.7 kph for the Ferrari and 178.9 kph for the Vantage). That said, Spa was another race the team will likely wish to forget with a fifth place finish some two laps behind the Ferrari – given the pace the figures show we can only assume that the race was effectively won and lost in the pits; JMW totalled 4:13.693 in pit stops whereas the AMR Team clocked up a whopping 8:17.753 (or to put it another way, the extra time in the pits cost the #99 car 1.75 laps). However, aside from the actual ELMS race, this gives us the opportunity to compare lap times of the ELMS and WEC Vantages on a like-for-like basis for the fourth circuit this year. Amalgamated lap time comparison for WEC and ELMS races at Spa-Francorchamps. Somewhat unusually for Spa, both race weekends were bathed in glorious sunlight, warm weather and rain free, so while the October race was certainly very slightly cooler (which certainly helps the engines with breathing), to all intents and purposes the weather was comparable between the WEC and the ELMS race. As the above timing sheet shows, the top 30 fastest laps were almost evenly split between Pedro Lamy in the #98 WEC car and Alex MacDowall in the #99 ELMS car. Lamy put together the fastest overall lap clocking in with a 2:20.8 vs MacDowall’s 2:21.0 (less than two tenths of a second between the cars, but the retrospective timing only runs to two decimal places) however the #99 car was faster in sector two (1:04.2 vs 1:04.7) and had a faster top speed of 262.8 kph vs 260 kph for #98. 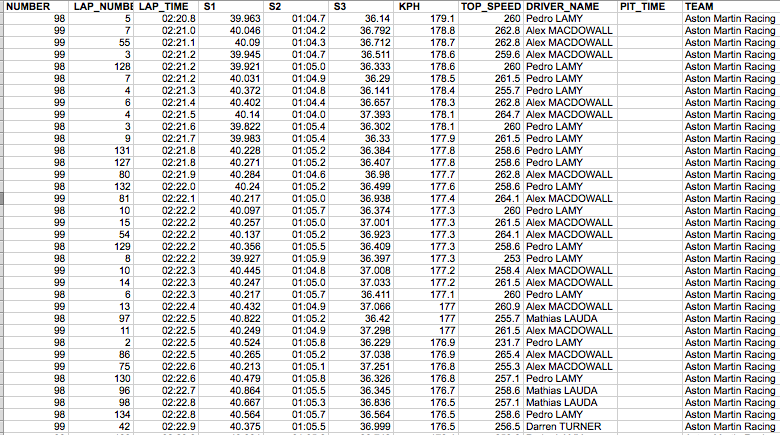 This pattern continues throughout the two races with all six drivers being very evenly matched. 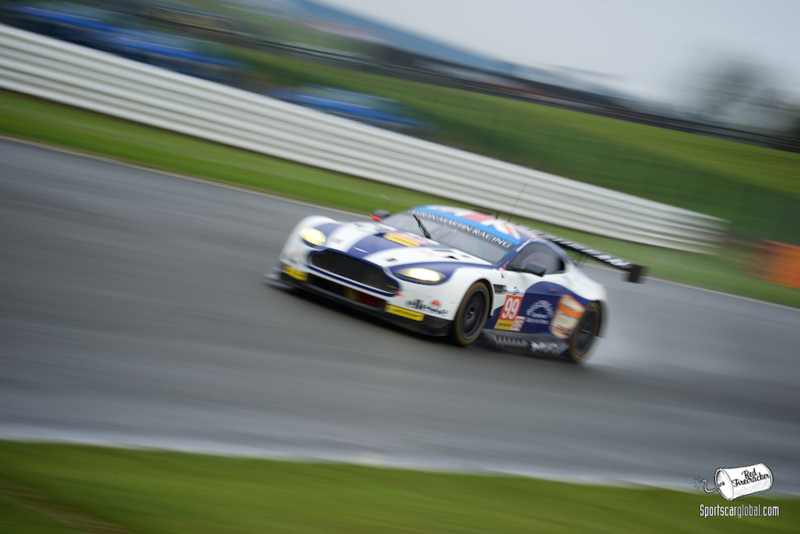 Is the ELMS Aston Martin slower than the WEC Am entry? Put simply, no. 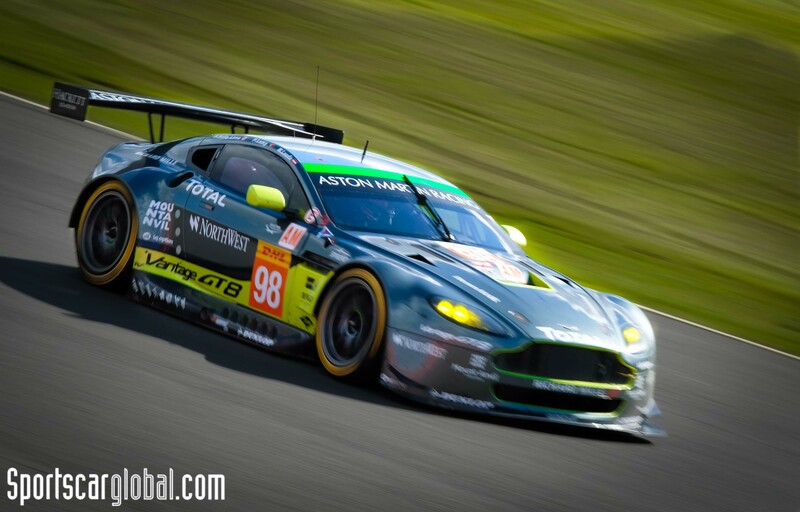 It’s as fast and sometimes faster than its sister car racing in the WEC LMGTE AM category and putting in comparable times to the other GTEs in ELMS. The ELMS car appeared slow though, are the drivers not performing? Again, looking at the figures absolutely not. All three drivers in the #99 car are at or very near the top of their game and performing well. 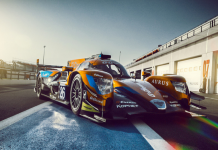 They have comparable times to the WEC team with Paul Dalla Lana (WEC) narrowly pipping Andrew Howard (ELMS) to the fastest of the Gentlemen Drivers spot. Why then the lack of consistency? 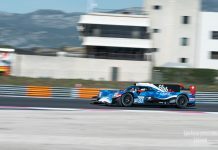 There have clearly been a few technical and teething issues with the Beechdean car’s move into ELMS and overall, a long time spent in the pits is never a good thing – there is compelling evidence that long pits stops alone have lost races this season. 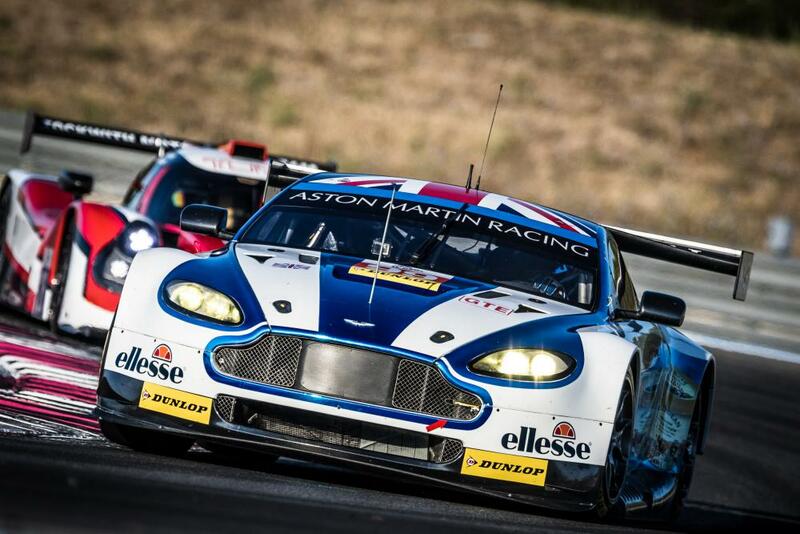 Will Aston Martin Racing take home the ELMS title in Estoril? To be honest, that’s highly unlikely. Nobody would be happier than I if they did and while it’s statistically possible, it’s certainly a huge ask. What I can be sure of is that the whole team, mechanics, drivers, truckies and support staff will give it their very best and it will be one hell of a race to watch – oh, and worst case they’ll finish second in the series which will still earn them a trip to Le Mans next year, now that can’t be too bad can it? UPDATE: Well, they did it! 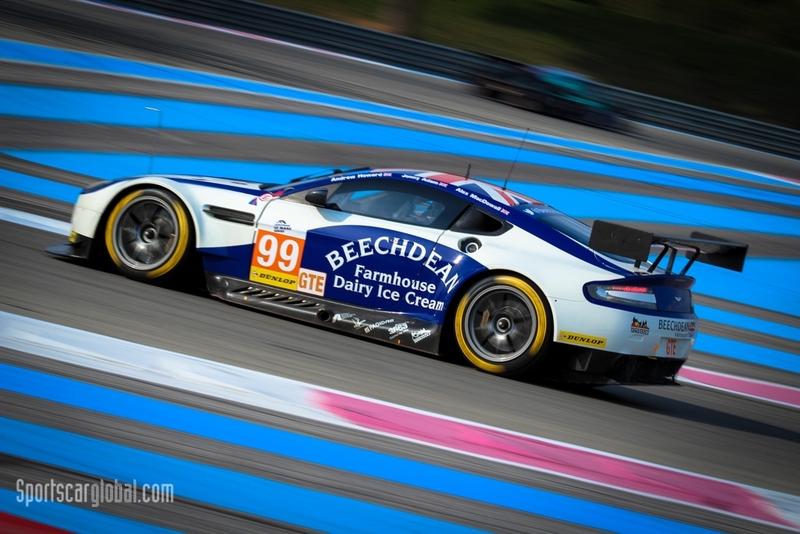 The JMW Ferrari suffered a miserable race and mechanical problems allowing the Beechdean team to take the GTE title. I’m sure it’s not the way they would have liked to have won, but a win is a win however you look at it meaning Beechdean get to return in 2017 as reigning GTE Champions – Chapeau!